Good News ! 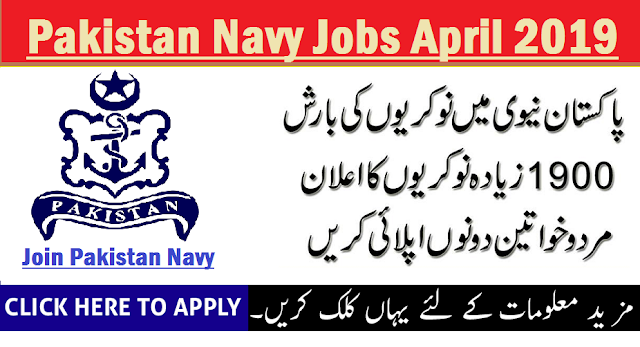 Best Jobs Opportunities announced in Pakistan Navy April 2019 for those , who wants to join Pak Navy as a civilian Government Employee in Pakistan Navy : Best Jobs in Pak Navy for, Primary, Middle, Matric. 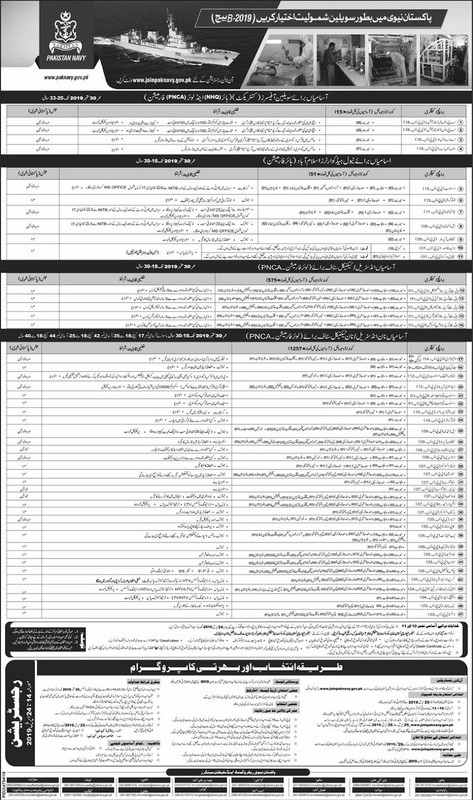 Inter & Graduate Degree Holders : Don't miss a good chances to get Jobs in Pak Navy April 2019, Total announced vacancies in Pakistan Navy are 1900 for overall Pakistan candidates. Those candidates which have the required Qualification , Required Criteria & Experiences Please visit the Official website of Pakistan Navy www.paknavy.gov.pk for online Registration . Dears Reader if you have any problem or Question about These Pak Navy April jobs 2019 , Please post in Comment Box, Thanks !